For more than 50 years, Morse Family Dentistry has been committed to providing our patients with high-quality dental care. As a leading family dentist in St. Augustine, Florida, we provide gentle dental care to your whole family. With one visit to our office, your whole family will experience the area’s best dental care in a clean, comfortable environment. At our family dental practice in St. Augustine, we take great satisfaction in helping your entire family to get started on the road to maintaining optimal oral health that lasts a lifetime. We want all of our patients, both younger and older, to feel at home when they visit our office. William J. Morse, D.D.S. graduated from the University of Buffalo School of Dentistry in Buffalo, NY, in 1958. After graduation, Dr. Morse accepted a general practice residency with the State of Florida in Gainesville, Florida for 2 years. 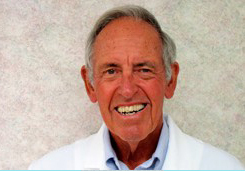 In 1960, he opened his own practice, Morse Family Dentistry, in St. Augustine, Florida, where it remains today. Well-known and highly respected in the local community, Dr. Morse has continued to provide patients of all ages with the high-quality dental care and cosmetic dentistry services. 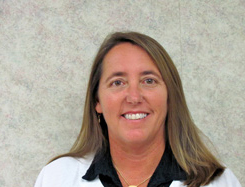 Dianne S. Morse, D.D.S. graduated from Georgetown University in Washington, D.C., in 1988. Upon her graduation, the Morse family was elated that she chose to become a part of her father's local practice, Morse Family Dentistry. Continuing her training alongside of her well-known and respected father, Dr. Dianne S. Morse remains an integral part of the Morse Family Team. She became the owner of the practice as of January 1, 2013 and she continues to provide her loyal patients with exceptional service through the utilization of modern technology. Seung C. Yang, D.M.D., graduated from The University of Florida College of Dentistry in Gainesville, FL in 1997 and has had extensive post graduate training through the Navy and George Washington University. Dr. Yang is a Commander in the United States Navy and has been an in service active duty Dentist for almost 20 years. 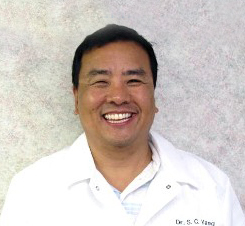 Effective May 1, 2014, Dr. Yang joined Morse Family Dentistry and brings with him a wealth of knowledge and experience in addition to his passion for dentistry. Learn why so many patients trust the doctors and experienced staff at Morse Family Dentistryto be their family dentist in St. Augustine. Schedule your appointment today! Enjoy gentle dental care at Morse Family Dentistry. Patients of all ages enjoy the high-quality dental care our experienced dentists provide. Contact us today! We proudly serve St. Augustine, St. Augustine Beach, Vilano Beach, Palm Coast, Hastings, and World Golf Village.